Sorry all that this is a day late, I had problems with charging my laptop! 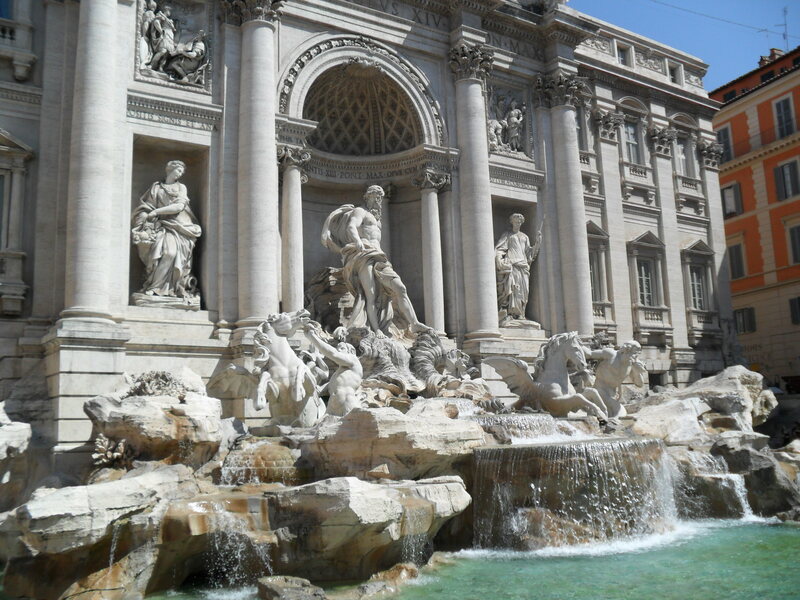 Today we took a guided tour throughout Rome. Our first stop was the Colosseum, an it was absolutely breathtaking, and we took plenty of pictures. The rest of our walk just as amazing, there wasn’t a direction you could look without seeing historical buildings and sculptures. 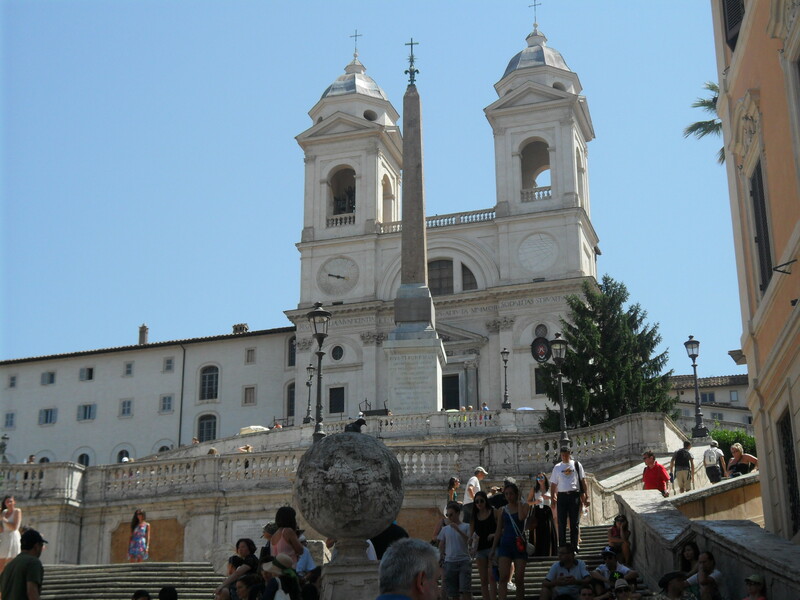 Some of the other highlights were the Trevi Fountain and the Spanish steps where we ended our tour. Our leisure time was spent eating lunch and doing plenty of shopping. I went with Courtney, Jess and Lisa to a small Restaurant called Taverno Del Corso where we all ordered a margarita pizza, different then what you would expect back home, but still delicious. 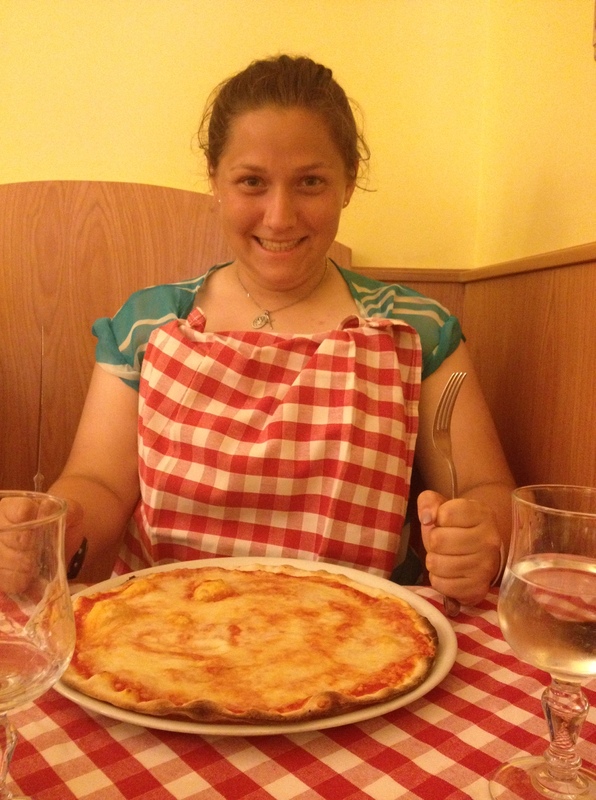 Lisa was especially excited for her pizza. We also learned today that leaving a tip after a meal is not common or required. It is saved for occasions that you are exceptionally happy with your meal and service. We spent the rest of the afternoon on a bus ride to Montecatini, where we will be spending the next couple days! We ended the day with dinner at the hotel, and we all went to a local Irish Pub after for a short time with our tour guide and the chaperone parent. So far Montecatini is a lot quieter than it was in Rome, it will be interesting to see what our day in Florence tomorrow brings!